United Way enables every child to join in the fun. The United Way of Williams County is investing in our future. Recognizing that activities for kids, including sports, and recreation programs help build self esteem and teach life skills like teamwork, dedication, and work ethic the “Let Me Play” fund was established in 2003 to provide player’s fees, uniform costs, or even equipment to children who would like to participate in area recreation programs, but do not have the means to pay the fees. Community enrichment programs such as crafts, theater, or dance, may also be covered. Private lessons are excluded. Clicking the link below will open an information sheet which must be filled out completely. You must also provide the two most recent paystubs for income verification. We utilize the Household Income Guidelines from the Ohio Department of Job and Family Services for verification. There is a limit of $100 per child and $300 per family per year. Recipients must be residents of Williams County. It is strongly encouraged that the program/league for which funds will be used be located in Williams County. “Let Me Play” funds may not be used for “Pay to Play” programs at local high schools. Funds may also not be used for private lessons. The YMCA will contact you, by phone, within one week to notify you if you’ve been approved. Upon approval, a check will be made out to the party or parties that need payment for your child or children to participate in the program described in the application. Checks will not be made out to individuals. Check(s) may be signed for and picked up at the YMCA during regular business hours the day following your notification of approval, or checks may be mailed directly to the league or program requiring payment. Checks not picked up within a week of notification of approval will be voided and not reissued, except under extenuating circumstances. The “Let Me Play” fund is administered by the Williams County YMCA. Children or families do not have to be members of the YMCA to participate. 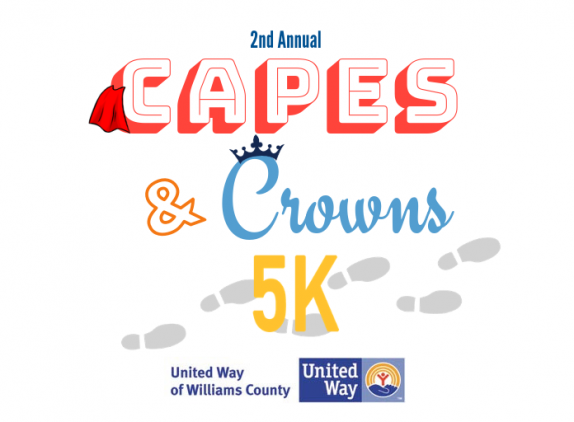 All activities are considered and all Williams County kids are eligible to apply. Interested individuals may make application for the funds by contacting the Williams County YMCA at (419) 636-6185 or downloading an application and mailing it to the YMCA. Click here to download an application.